A perk of attending a multi-day baking conference is getting to start the second day eating the results of the previous day's work. 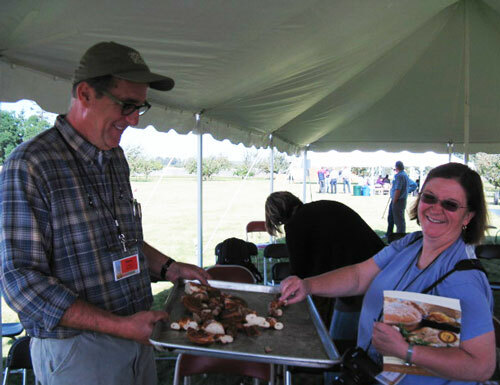 As I mentioned in my previous post, the Kneading Conference West was hosted by the Washington State University Mt. Vernon Research Extension Center. 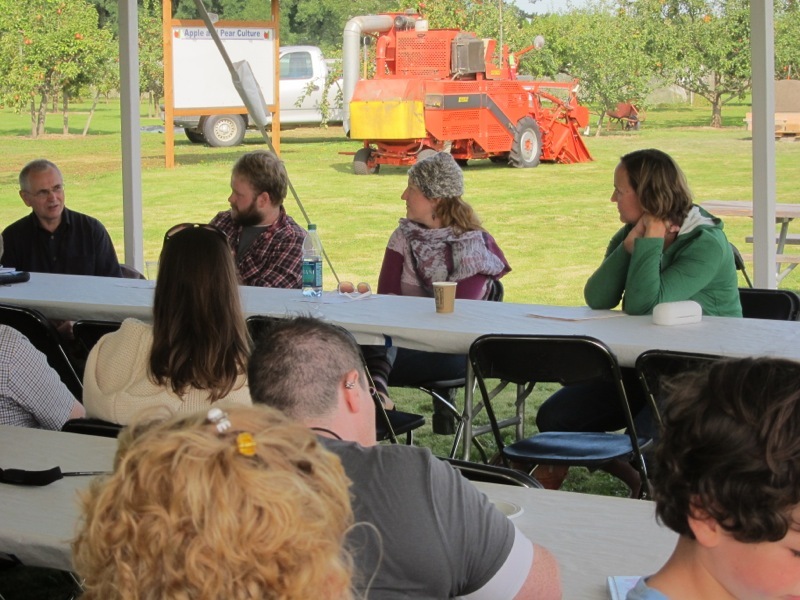 There are classrooms, a lecture hall, labs, and kitchens in the main facility, but the campus is also made up of extensive orchards and cropland where numerous varieties of plants are developed and tested. 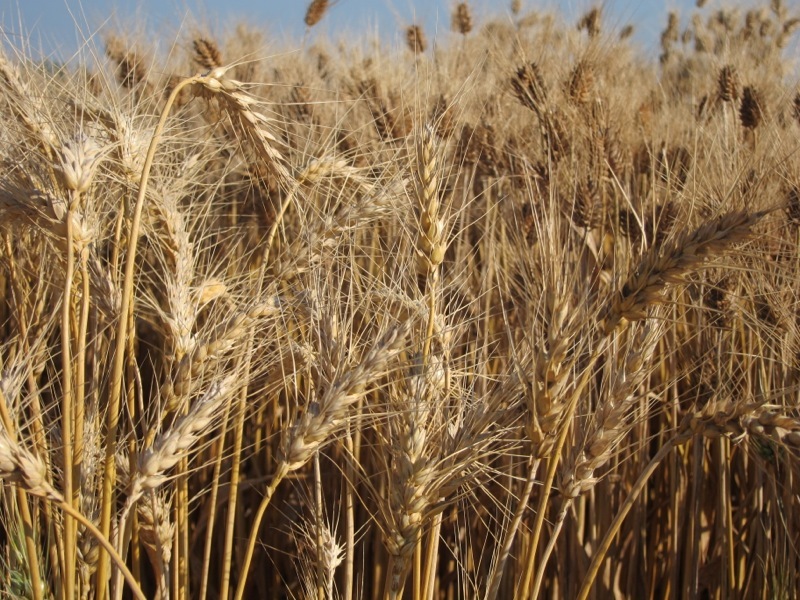 One of the things they are experimenting with is reestablishing older varieties of wheat. Steve Lyon, the senior scientific assistant of the campus, was kind enough to take us on a tour of their historical wheat garden. 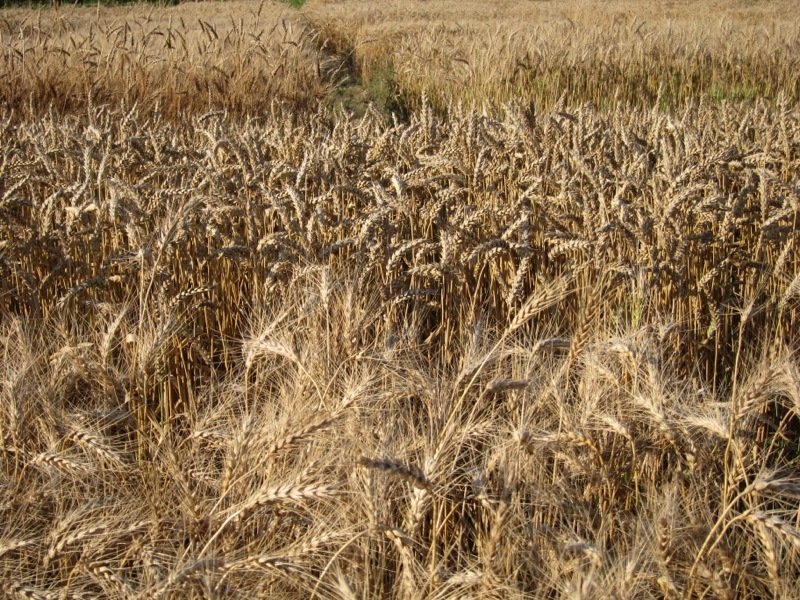 The variety in height, color, and head size of the different wheats was quite striking. 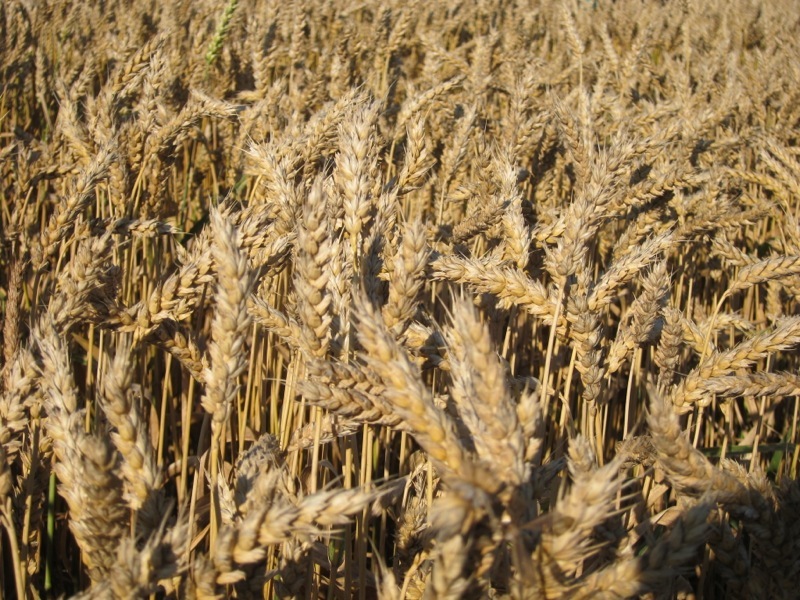 Some of the varieties currently growing there are varieties first cultivated in the Northwest by the Hudson Bay Company. This Steve and the "other" Steve -- Steve Jones, director of the facility, who I sadly did not get a picture of -- were great hosts, extremely fired up about the work they are doing here to reestablish a local grain economy in the Pacific Northwest. The current issue of Gastronomica, actually, has an article by Steve Jones describing what they are doing here that is well worth reading. 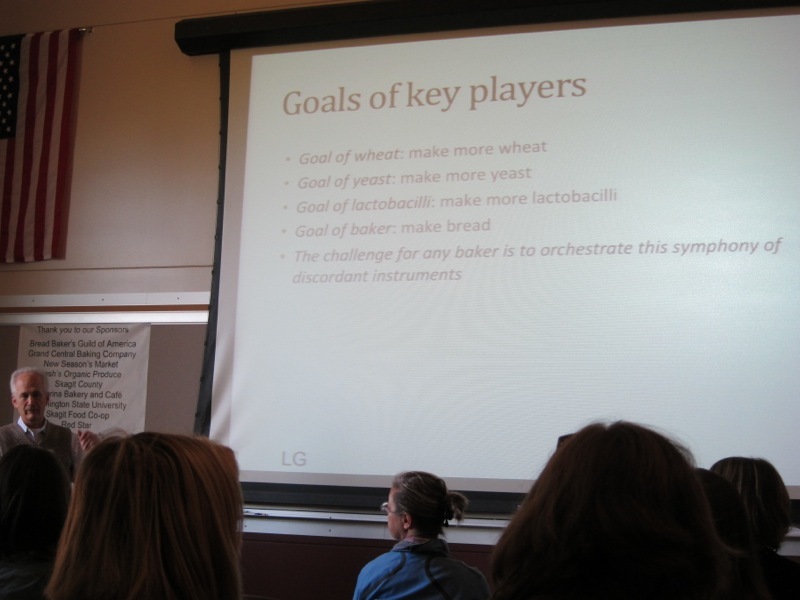 Back inside for a session by Andrew Ross, a cereal chemist at the University of Oregon, and Lee Glass, who has taught at WheatStalk and other bread gatherings, about the science of bread baking. 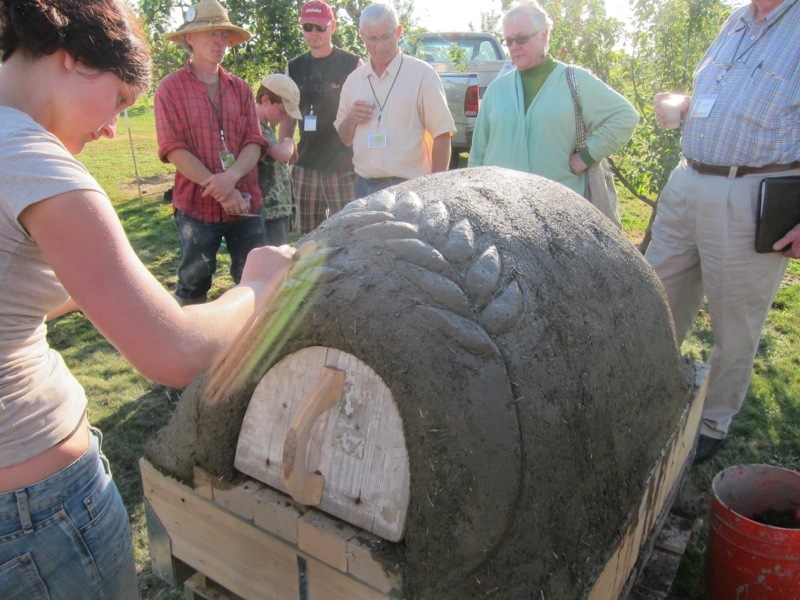 By the time I came back outside, Kiko's group was just putting the finishing touches on the clay oven they'd built. The final session I caught was a panel discussion that Piper Davis of Grand Central Bakery, Julie Richardson of Baker & Spice Bakery, Byron Fry of Fry's Red Wheat Bread, and keynote speaker Andrew Whitley did about the business of baking. I think I can best sum that session up with "It's hard. You better be really passionate about it if you want to get into this business because it is hard work, the margins are small, and as you grow it doesn't get much easier. Yes, you can hire people to help you out and do the things that you don't want to do, but then you have to deal with being a manager and running a business, which isn't what I originally set out to do. I just wanted to make great bread." Not that any of them suggested they wished they were doing anything else. A final bit worth commenting about is the people. The people there, from the hosts to the speakers to the attendees, were wonderfully accessible and friendly, eager to chat with other folks who shared their passion for making your own bread. Lots of TFLers and folks familiar to the TFL community too: Breadsong, txfarmer, run4bread, mc farine, Theresa Greenway. All really accomplished bakers and good people. It was a joy to get to know some of them (you) a little bit and do hope we'll meet again. Lots of nice compliments made to me about The Fresh Loaf too. At least half of the folks I spoke to there, be they site members or not, were familiar with the site, and nearly all of my conversations about TFL followed the same pattern. First there was the "Oh, you are that Floyd" reaction, then a few kind words about the site, and then a story along the lines of "I followed Debra's instructions to get my starter going," or "I was struggling with ryes and then I read Mini Oven's posts and it finally clicked" or "I really enjoyed reading Andy and Mark's posts about a day in the life of a baker" or "That yeasted beer bread reminded me of Ian..." Again and again I got to hear stories about how the posts you folks all make here have helped someone make a breakthrough or perfect something they've been having trouble with, so kudos to all of you who share your experiences and stories here. Do know that you are helping folks out. 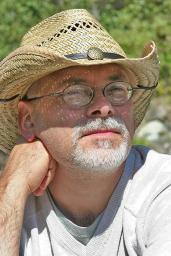 Thanks for sharing this two part post on Kneading Conference West Floyd. Would loved to have gone myself but couldn't, so this is a nice consolation. I did put myself on their mailing list for next year's however so hopefully I'll see you there. Floyd, it was a real pleasure to meet you as well, and thank you for your kind words. 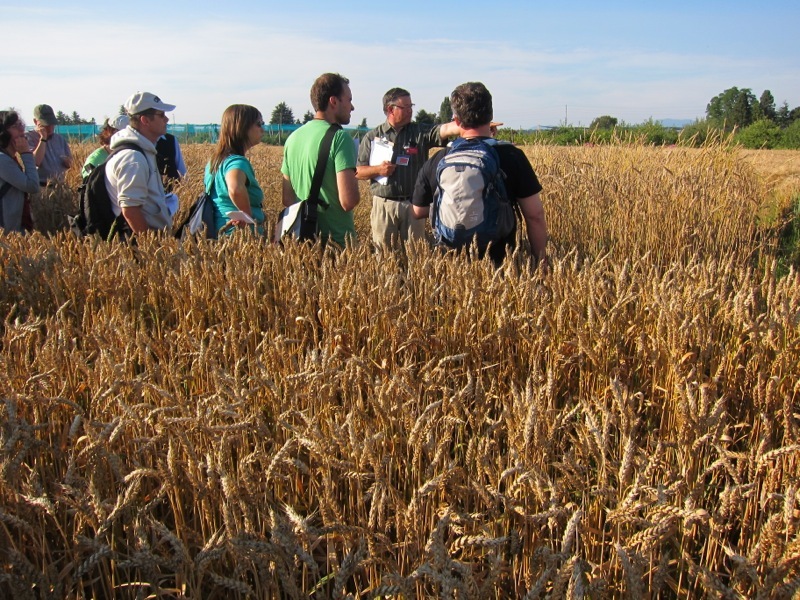 Thanks too for all of these wonderful photos - I really wanted to go on the wheat field tour but missed it, being so engrossed in the seminar I was in when the tour started. I really liked seeing the photo of the young lady creating the gorgeous wheat pattern on the oven. I saw the oven at the very end of the Conference, and wondered who had created that lovely design. Thanks so much for sharing your experiences at KCW! It was great to meet you! I loved the experience, lots of inspiration for my baking! all had good experiences at such a fine conference an that some Fresh Lofians got to meet and greet each other too. 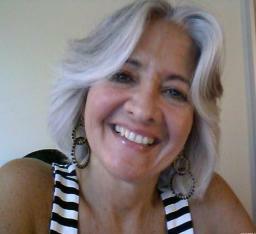 ...of the Conference for me was certainly meeting you in person and talking to you! 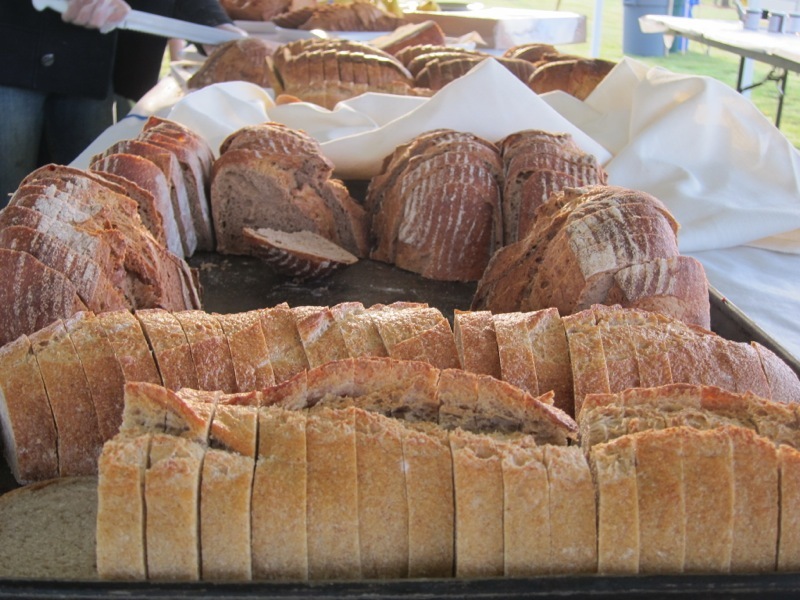 I am amazed at how modest you are about what you have achieved with the Fresh Loaf when in fact what you are doing is helping the bread revolution move forward across the world thanks to the web of bakers you are attracting to the site. 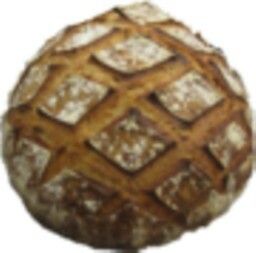 Thank you, thank you and thank you for taking time out of your schedule everyday to make sure the Fresh Loaf remains free of bugs and spam. You said it was "only one or two hours a day". I say "Wow!" and again, thank you. Excellent coverage of the conference Floyd. As one of the photographers, I found it impossible to cover everything, there was just so much. I am still working on it. It would have been great to attend every workshop. Meeting baker friends there was a lot of fun, I am glad to have finally met you. It was inspiring to see the enthusiasm and friendliness of the attendees. I hope to see you there again next year... and some of the rest of you too. It's great to read the recap of the conference - I still have a sheaf of notes and photos to look through again. I was so pleased to meet you! I'm glad you got some in-person confirmation, Floyd. The community you host here at TFL is a work of art! And it couldn't happen with your site parenting.